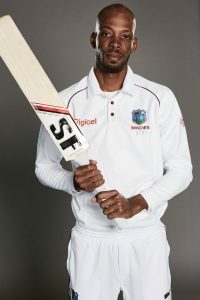 Home Calypso When are you planning to score some runs Roston Chase? When are you planning to score some runs Roston Chase? Back in 2016, a relatively unknown commodity in West Indies cricket arose from obscurity. He had a passport at home. But he also produced one at Sabina Park, Jamaica. That passport got a stamp of approval from none other than Virat Kohli, captain of a side that had Pujara, Rahane, Ashwin in the ranks as the Test match at Jamaica ended in a draw. It seemed, everyone was so happy that even rain-gods couldn’t contain tears. In a rain-assisted way, West Indies ended up undefeated at Jamaica. On a spinner-friendly wicket, facing Shami, Kumar, Ashwin- that West Indian had struck a fighting 137. 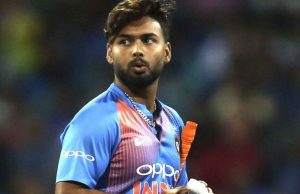 He became a pain in the back of Kohli’s team. 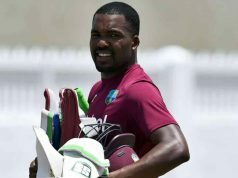 He found a way to stick around Sabina Park’s wicket for a day and a half. He dug a well of concentration and even remained unbeaten. 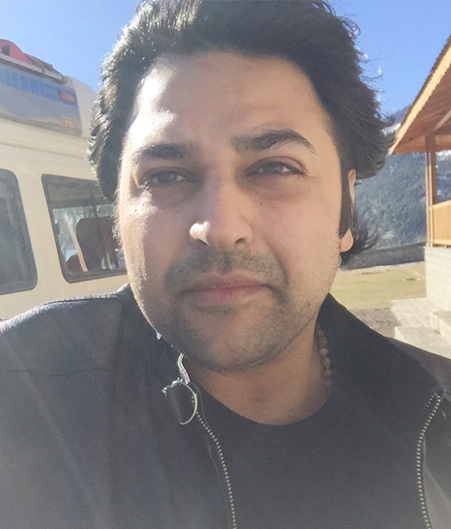 A top class resume to begin your career in the right way. The Indians found him to be a pest. 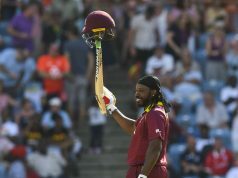 The fans in the Caribbean suddenly discovered a batsman who batted like a proper Test batsman is supposed to: chin-down, not such a high backlift, great hand-eye coordination, lanky height, not an inch of body-fat, monk-like powers of concentration and above all- a rigour for sweating it out. 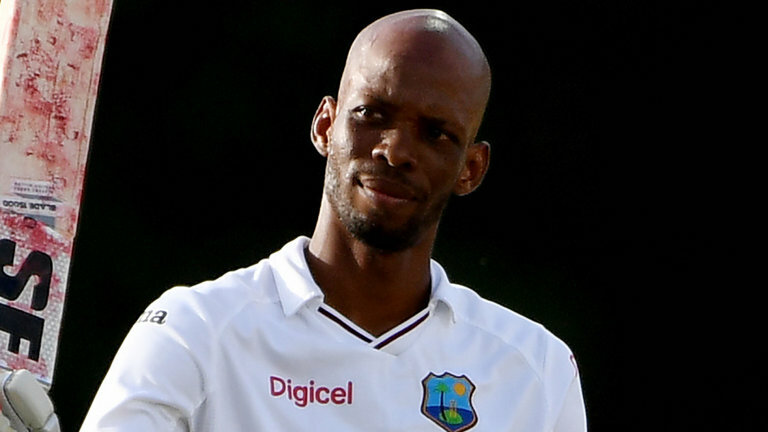 The West Indies found Roston Chase. 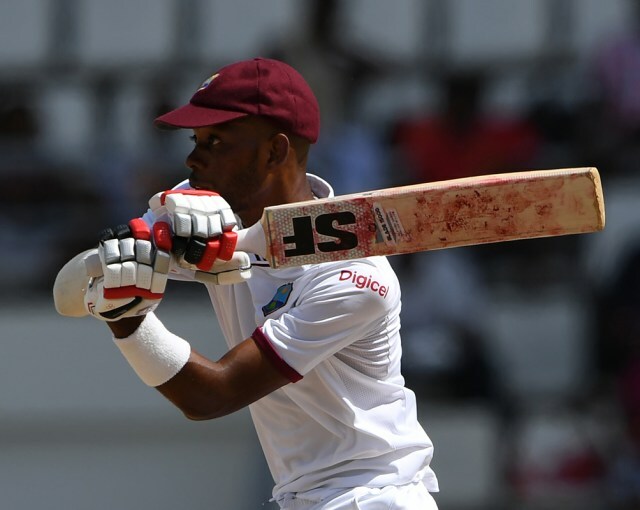 In turn, Roston Chase found a side that desperately sought a batsman who could bat. In the Barbadian’s hands lay a passport that enabled him to travel along the side- a team searching for consistency in Test level- to consolidate its position. The West Indies have been in a long spate of self-induced coma. Finally, there seemed to have emerged a batsman who could doctor a revival. And it’s not just for his 137 that he earned attention. 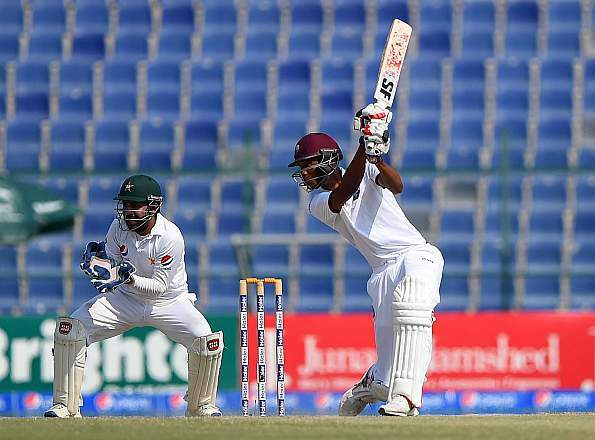 Roston Chase tamed Pakistan as they came threatening the West Indies in 2017, searching for their maiden series win. They did win in the end, but not before enduring that pest again; the one renowned to stick around. Roston Chase fired rich hundreds, two in the same Test. 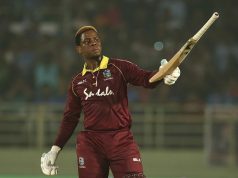 Shai Hope’s blade was relatively quiet. The Caribbean fan, prone to sleeping midway in stadia and when not bored to death by silly batting displays, used to checking out pretty young things around- found a reason to focus on cricket again. Roston Chase had appeared from somewhere god knows where. And it was working alright. Here’s 2018. In fact, we are more than half-way through. 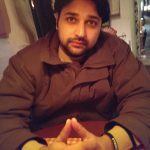 Countless fingernails have been chewed, many Tinder swipes have occurred and copious amount of Test cricket has already happened. 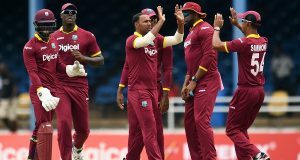 The West Indies have qualified for the ICC World Cup 2019. Even Bishoo has developed into a proper nightwatchman and, Kemar Roach has plundered a few mighty sixes. But there’s no sign of runs from the Barbadian’s bat, whatsoever. It’s been 4 Tests and 7 innings in total and half a year almost in waiting- but the man behind the Jamaica stunner hasn’t struck a fifty. His stumps have flown, left the ground, the keeper’s been kept busy, the spinners have found a reason to grin but the runs have vanished. Has anyone seen Roston Chase? Could anyone tell him that the side he’s set to face isn’t the world’s scariest bowling unit? Probably, a good time to bounce back to some form. The team he’s about to face in a deciding Test- should West Indies win or draw, they’ll earn a series win at home- is not even half of India on a bad day at the office. It’s not Australia, that’s still terrible. It’s not Pakistan or South Africa. It’s Bangladesh- a ‘somewhere in the middle team’. Or, if it might be reminded, a toothless tiger on current form. Importantly, Roston Chase is going to be back to where it all started. Rewind to 2016, Kingston Jamaica’s Sabina Park. Remember the 137. Remember 269 balls? Recollect the 352 minutes? Can Chase come a full circle where the dream was lived?